Warsaw is a huge capital city, where thousands of cultural institutions prepare events every day. It is not easy to chose one of them. The City of Warsaw launched a dedicated Programme to help Varsovians find the right event. Superskrypt & Podpunkt were asked to create a consistent web and printed presence for the programme. The goal of interactive map is to show in clear and attractive way where and what to do in your free time. The map displays the multitude of cultural activities involved in the Programme: dance, choir, library, city garden, outdoor cinema, gallery, workshops, theaters. The consistent use of linear illsutrations accross printed and digital materials allowed the City to convey a strong message. 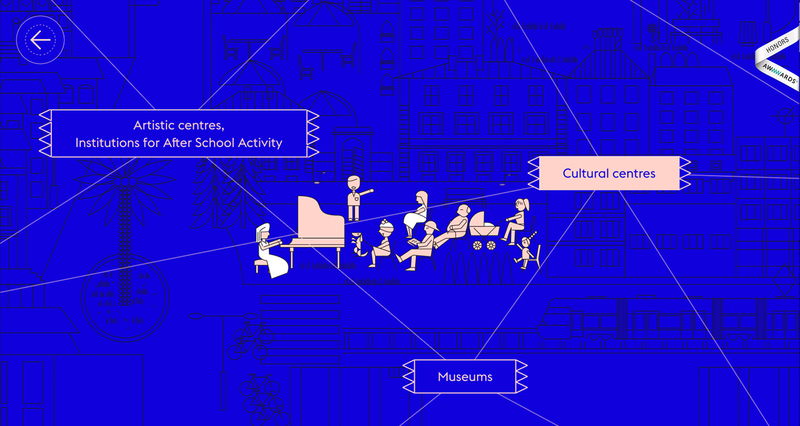 An interactive map of the Warsaw Cultural Programme. The site displays a multitude of cultural activities available to citizens.